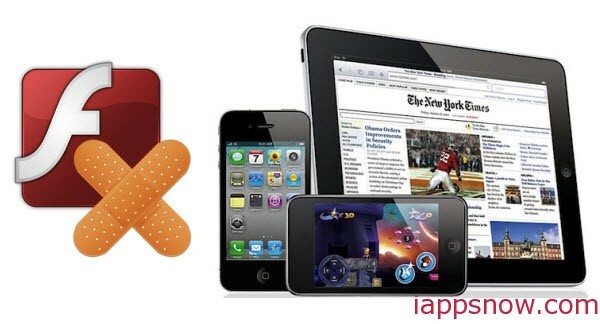 Lots of iOS device users ask “How do I get flash player on iPhone/iPad/iPod?” in Apple community. Adobe has not created a version of Flash for any iOS device, because iPhone/iPad/iPod does not support flash. But don’t worry, we can still find some ways to solve the problem, such as downloading flash player apps to support flash items, downloading and converting flash videos to iOS devices compatible videos. Another worthy recommending flash player app is Skyfire which gives you access to flash video on iPad, iPhone, iPod touch. But we should note that Skyfire does not support Flash Websites, Apps or Games – just tons of great Flash videos across the web; Skyfire does not support all sites, Skyfire enables over 200,000 sites. 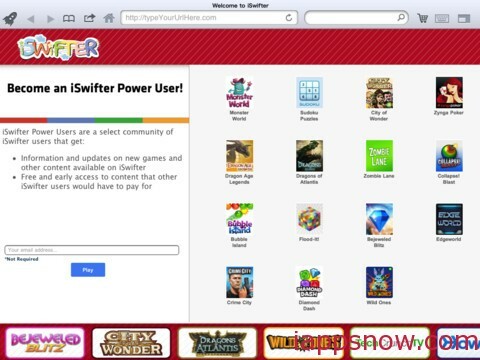 Swifter Flash Browser empowers you to unlock your favorite Flash contents on your iPad, such as view flash websites; play your favorite social, casual & MMO games; watch your favorite shows, music videos, movies; and use all Flash applications on your iPad. iSwifter Flash Browser is available free for the first 7 days for you to evaluate. You can install free Flash players on your iPhone or iPad to watch Flash content (only FLV available), however another simple way is to use a Flash video converter to convert downloaded local Flash video to iOS devices compatible format in the first. Pavtube Video Converter Ultimate is here for you to do this job perfectly. (Read Top 5 Video Converter Ultimate Review) This Flash Video Converter is especially designed to convert Flash videos to iPhone/iPad/iPod series friendly format easily in a few clicks with super high speed and excellent video quality. 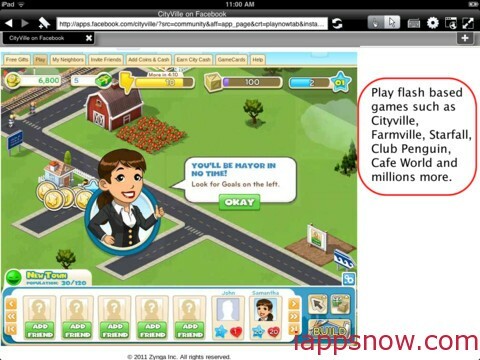 Therefore, you can play Flash videos on iOS devices wherever you are. Step 1. 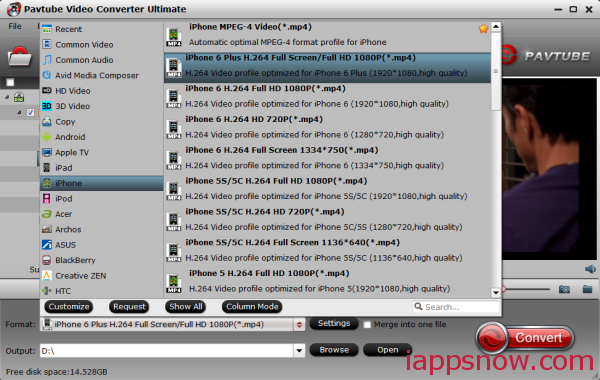 Run this flash Converter for iOS devices(Mac version is here); add flash videos. You can click “Add Video” icon to import your flash video. Drag-and-drop is also supported. Step 2. Choose iPhone/iPad/iPod series friendly MP4 format. Click “Format” drop-down list, go to choose “iPad HD Video(*mp4)” from “iPad” option as the most compatible preset with best video quality for iPad. If you have an iPhone or iPod, just choose related format from “iPhone” or “iPod” option. Your can click “Settings” to free change video size, bitrate, frame rate and others. If you do not want to keep videos in large size, you can lower the bitrate settings to get video in proper size. Now hit the big red “Convert” to start converting flash video to MP4 for iOS devices. After conversion, you can click “Open output folder” to quick locate the converted video for syncing to iPhone/iPad/iPod series and start enjoying.